The second schoolweek at SYK started with an idea of our mutual world and its’ many stories. 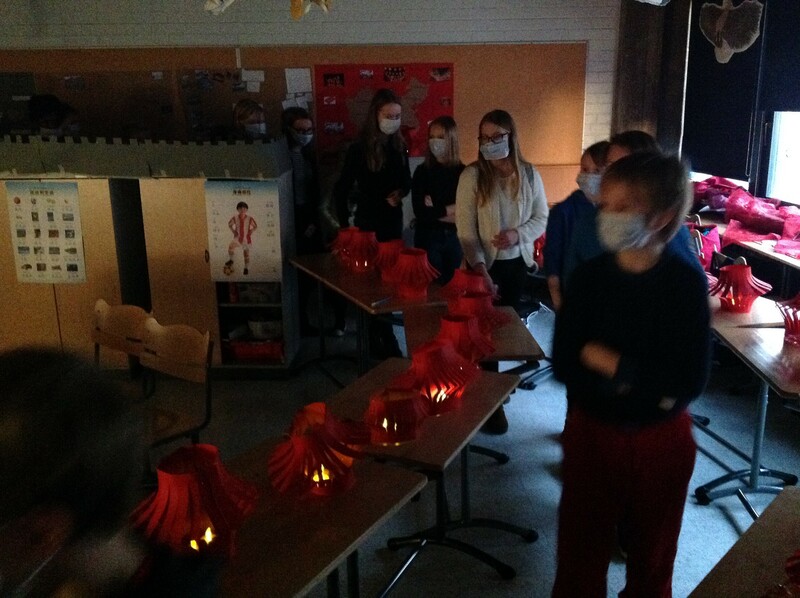 In my classroom 28 students from different grades concentrated on China. 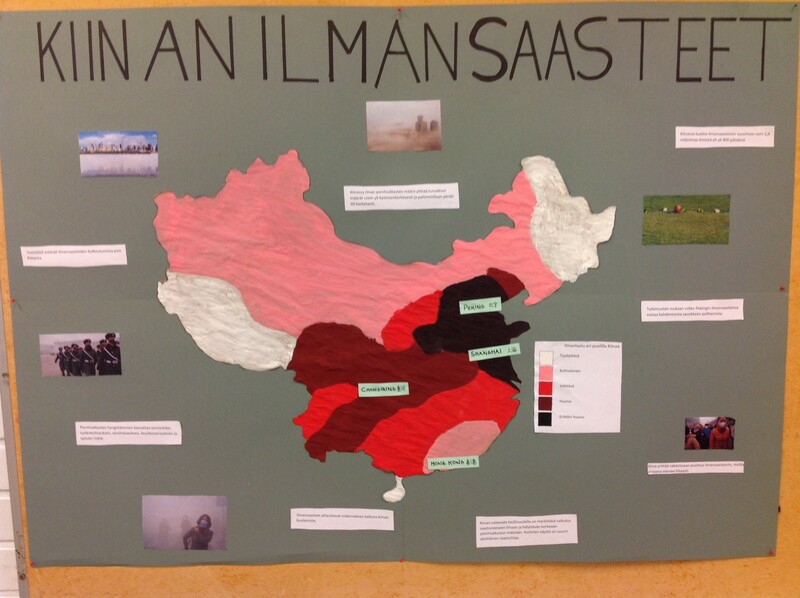 My students did big posters about pollution in China, about Beijing and Shanghai and also about Chinese New Year. We drank tea everyday, we tasted noodles (and of course learned to use chopstics), we listened Chinese music, ate fortune cookies, wrote Chinese characters, decorated the whole classroom with paperlanterns and papercutting; older students even wrote Chinese calligraphy to decorate our frontdoor with traditional couplets. Students together prepared a perfomance to other students. First every visitor was given an airmask, that was because of the pollution in Beijing area on December 2016. 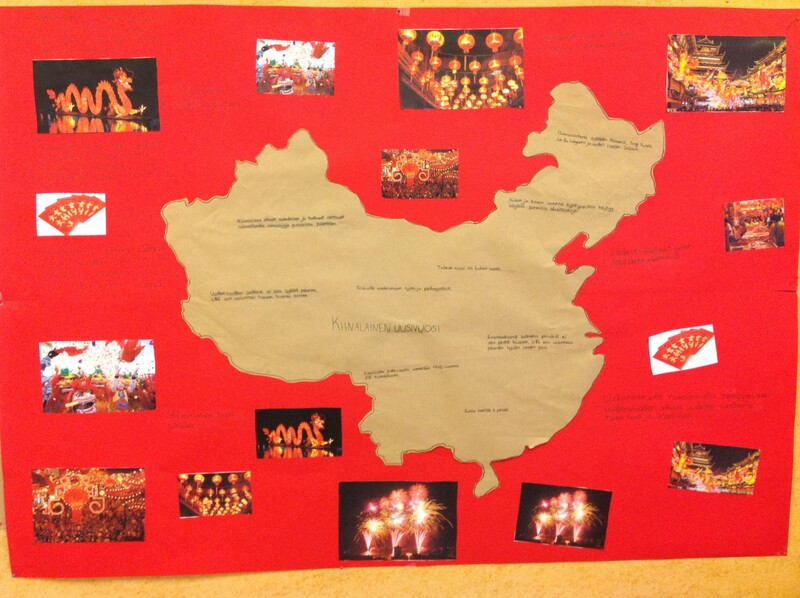 Then my students told visitors what kind of towns Beijing and Shanghai are and what is the New Year in China like. At the end of their show students made a shadow play about 12 Chinese Zodiac Animals. Before our guests left they were given a red envelope: one won 8 euros. And as we know eight is a lucky number in China. 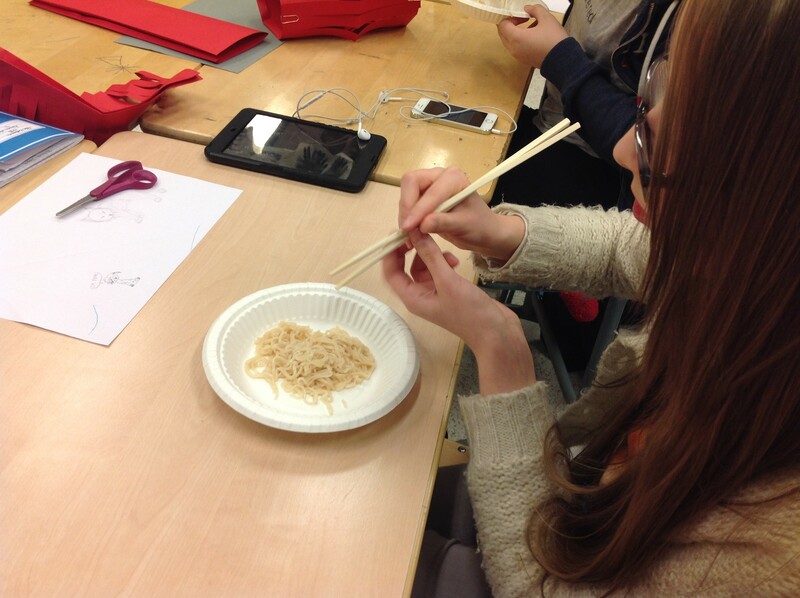 During this week students learned a lot about China. I must thank to my colleagues in Beijing, they helped me a lot by sendind addresses to useful websites, sending Power Point -presentations about Tea, traditions, Chinese couplets etc. It is fine to continue cooperation with Chinese colleagues this way. Thank you Aleena, Sienna, Gao JingJing, Song and Cherry! This entry was posted in Uncategorized on February 9, 2017 by tiinakorhonen.